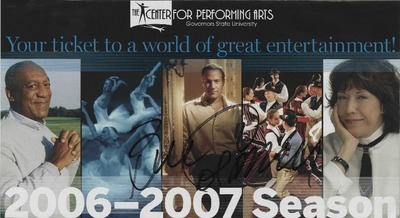 Brochure and promotional material for multiple shows during the 2006-2007 season. 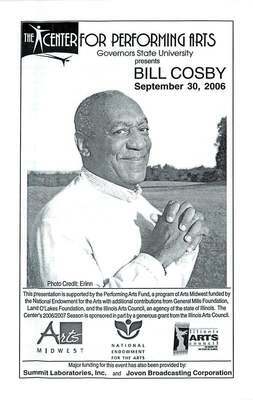 Playbill insert for the September 30, 2006 performance by Bill Cosby. 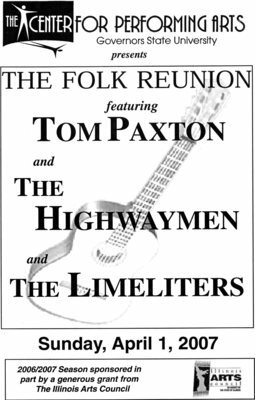 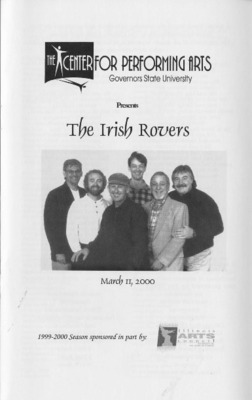 Playbill insert and autographs for the April 1, 2007 performance of The Folk Reunion featuring Tom Paxton and The Highwaymen and The Limeliters. 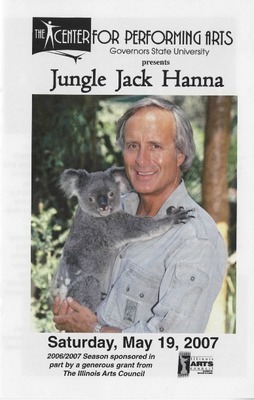 Program for the May 19, 2007 performance by Jungle Jack Hanna. 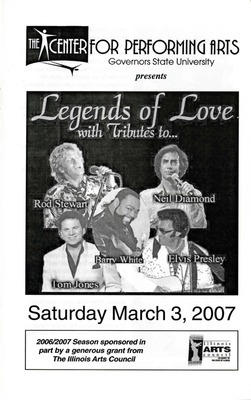 Playbill insert and autograph for the March 3, 2007 performance of Legends of Love with Tributes to Rod Stewart, Neil Diamond, Barry White, Elvis Presley, Tom Jones. 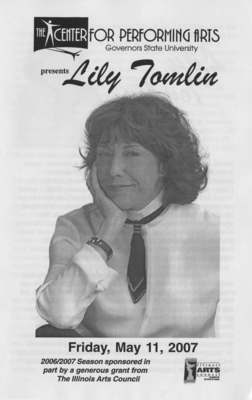 Playbill insert for the May 11, 2007 performance by Lily Tomlin.